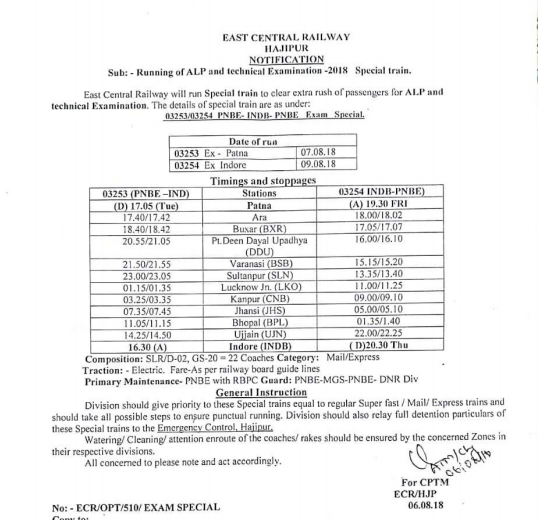 Good news for the candidates who are going to appear for the RRB ALP examination this year, as Indian Railways is started a special train for the students who have to travel a long distance to appear for their examination. 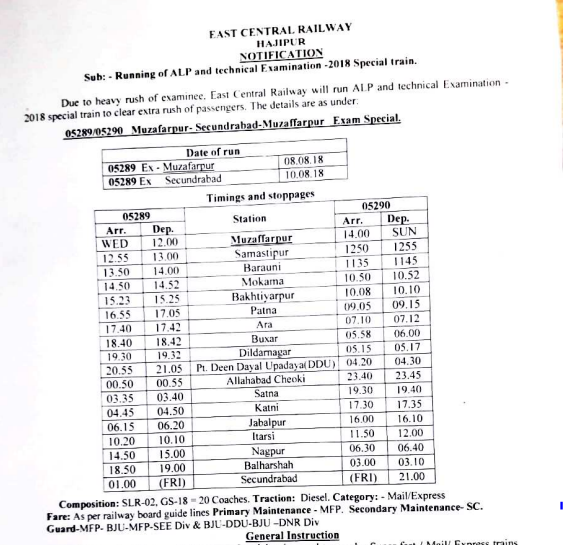 Now, for further comfort of the students and to manage the last minute rush, Indian Railway has started RRB Exam Special Train. The train will be running to and fro from Patna to Indore and Danapur to Secundrabad. The number of coaches in both the trains is 22 each and the fare will be charged as per the guidelines laid down by Railway of India. Railway Recruitment Board (RRB) will be conducting Assistant Loco Pilot and Technician examination from August 09, 2018. For the convenience of the candidates, RRB provided SC / ST free pass. he RRB Exam Special Train, as the name suggests, is especially for those candidates who will be appearing for RRB ALP Examination. The number of the train running from Patna to Indore is 03253 and it will begin the journey on August 07, at 05:05 PM. 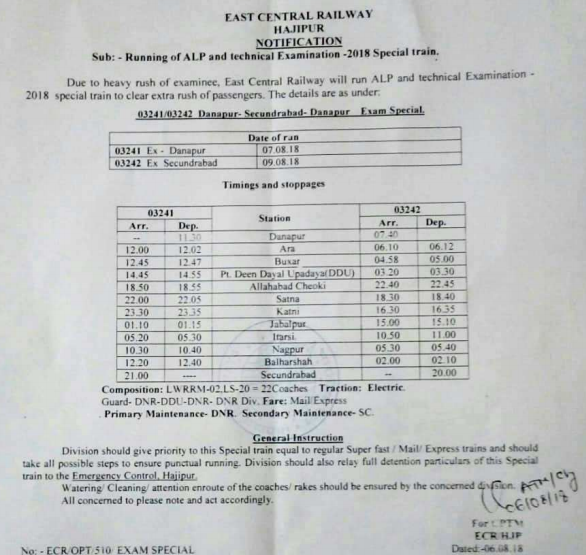 HOW TO BOOK A Ticket in RRB EXAM SPECIAL TRAIN?